Will an opt-out organ transplant law save lives? The recent decision in England to change the organ donation law from voluntary consent (opt-in) to presumed consent (opt-out) highlighted the debate around the best approach to organ donation. It is hardly new. Christian Barnard’s first human heart transplant in 1967 was the catalyst for many countries to examine what legal changes were needed to realize the full potential of transplantation. The total number of American adults who are registered organ donors has steadily increased to over 55% of the eligible population. More registered donors have resulted in more organ transplants annually over each of the past five years. While there is wide variation among the 58 regional Organ Procurement Organizations (OPO) in the US, the top performers have donation rates that are better than or comparable to all opt-out countries, including Spain. For example, a leading American OPO, covering over 11 million people, has a donor/million rate of over 50, compared to Spain at 46.9 in 2017. At the same time, the number of candidates on transplant waiting lists continues to grow, in part due to the epidemic increase in obesity and diabetes, which leads to kidney failure and more individuals on dialysis who are waiting for a kidney transplant. In the hope of increasing the number of transplants, several countries, such as France and Germany, have enacted “opt-out” systems over the years. The government in England recently announced that an opt-out law will be in place by 2020, if parliament approves it. Some believe that this legal change will yield more transplants. There is no convincing data to support this opinion, however. Organ donation is an intensely personal gift. Receiving an organ is a medical miracle based on the altruism of another, usually an anonymous person or family. Losing a life because of the lack of an available organ is a tragedy. It is tempting for leaders to recommend a change in the law based on bold promises of saving lives. Unfortunately, changing the law alone, is an illusion that creates false hope. It diverts attention from investing in actions that have been demonstrated to increase transplantation rates as described above. Further, “opting out” runs the risk of undermining public trust by overriding individual autonomy and could undermine confidence in the NHS and the current system. Instead of changing the law, we recommend enhanced efforts to actively encourage individuals to register as donors and discuss their wishes with their families, as well as increased investments in the training of physicians, nurses, and others who will be having conversations with families about donation. At a time when public confidence and trust in our governments has declined, maintaining trust by respecting individual autonomy and family wishes is vital. We believe lives can be saved through strong, committed, collaborative leadership, and not by changing to an opt-out law that, by itself, has not been shown to be effective in other countries. 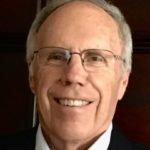 Alfred M. Sadler Jr. is a senior adviser to California State University, Monterey Bay. 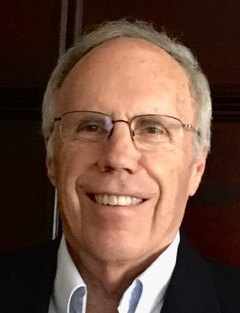 After an academic career at Yale University and the University of California, Los Angeles, he practised internal medicine in Northern California for 35 years. His writing and teaching interests include organ transplantation and the use of physician assistants and nurse practitioners in healthcare, and he lectures widely in the US. 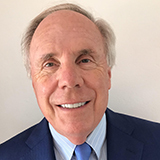 Blair L. Sadler is a lecturer at the University of California, San Diego, Rady School of Management; a senior fellow at the Institute for Health Care Improvement; and a member of the board of the Hastings Center. He served as president and chief executive officer of Rady Children’s Hospital for 26 years. Among his writing interests are the power of transparency in leadership during crisis and organ transplantation. “Organ donation: Opting In or Opting Out? Chris Rudge, Br J of Clinical Practice 2018, 68 1667 62-63.